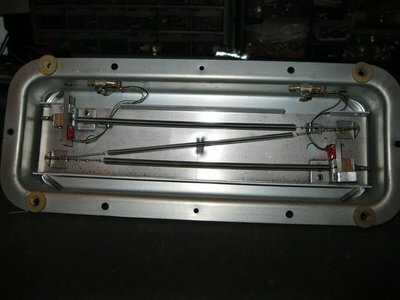 I found this folded spring reverb tank when I dismantled an old Kimball organ. I decided to build it up for inclusion in the modular. 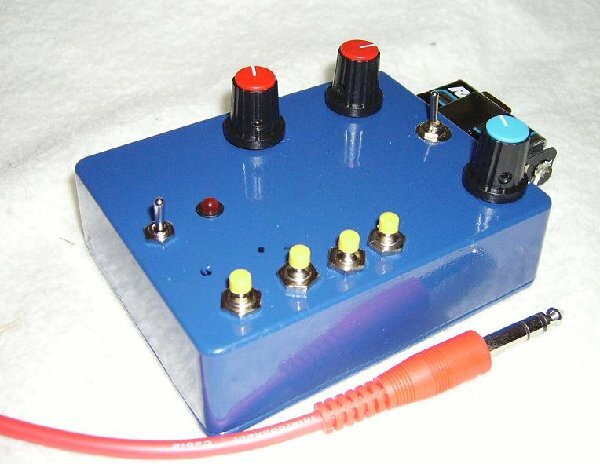 I used the circuit here : http://sound.westhost.com/project34.htm - and built it on some stripboard. According to Wikipedia "Drone music" is a minimalist musical style that emphasizes the use of sustained or repeated sounds, notes, or tone-clusters - called drones. It is typically characterized by lengthy audio programs with relatively slight harmonic variations throughout each piece compared to other musics. La Monte Young, one of its 1960s originators, defined it as "the sustained tone branch of minimalism". I added two filters copied amost directly from Ray Wilson's WSG http://www.musicfromouterspace.com/analogsynth/YOUR_FIRST_SYNTH/WSG_Reborn/WEIRDSOUNDGENERATORREBORN.php. I Also added psuedo Ring modulator based on the 4011 and I added a bit of circuit so I could synch the oscillators together. I built it all on a bit of perfboard and mounted it in a good sized project box..
Self contained Drone machine. Six 40106 low freq. 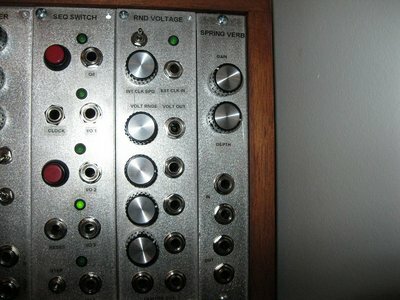 oscillators, two MFOS WSG filters, Oscillator 'synch' or normal is switchable on each osc. Two 386 amps and built in speakers, also stereo line out. 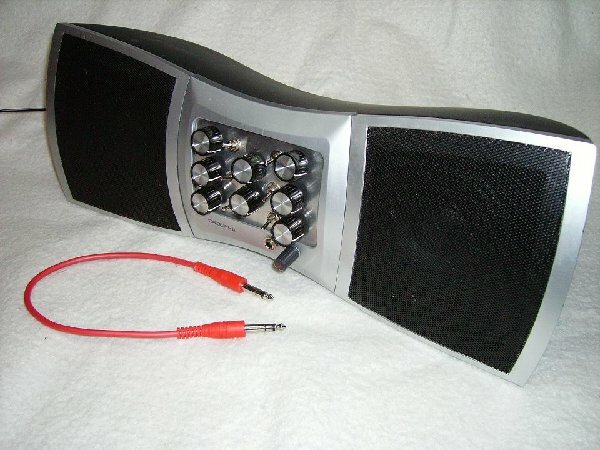 The previous life of this 'boombox' was a Sirius Satellite radio docking station. Runs off AC (wall wart) or C batteries. One of those easy noise maker circuits I never got around to making. I had an hour or two to kill, and I was between other projects so put this together on a breadboard...it stayed there for a while til I decided to box it up. This has an internal speaker and 386 amp. 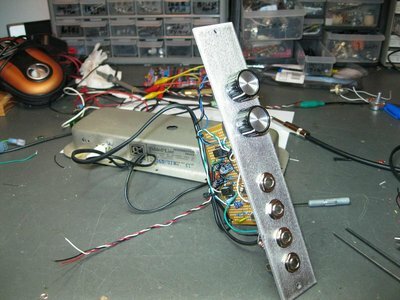 One Oscillator is light controled, and touch points control of the second. You can find instructions and a schematic here. Shortly after I had enough modules to be dangerous I had the notion I needed a keyboard to play it. 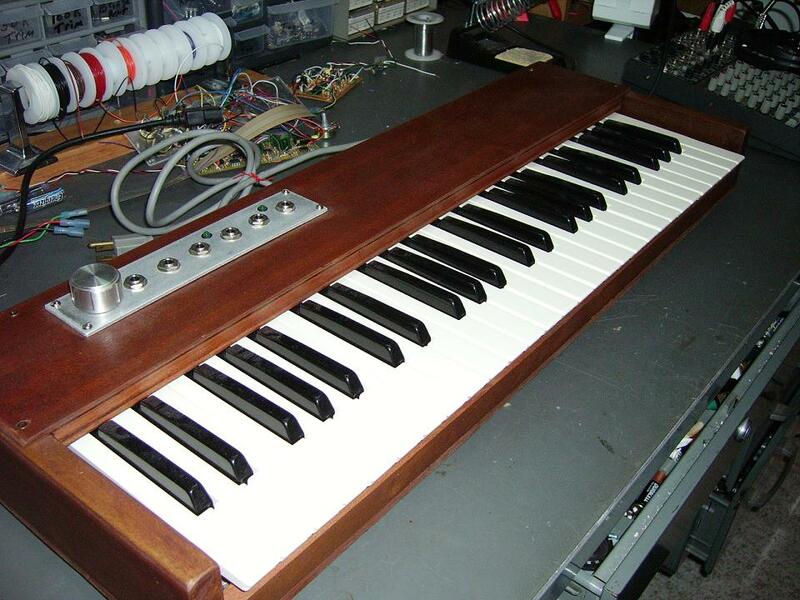 Ray Wilson's MFOS Keyboard circuit looked like it would do nicely, so I ordered it and some parts and built it. I made a phone call to a local music teacher and asked if he had any trashed keyboards with full size keys. He supplied me with a Casio CT-310 I could have for free. 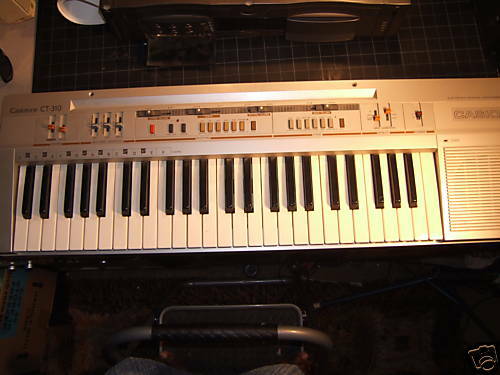 This is not the perfect keyboard to use for this - it uses bubble switches and, as it's polyphonic it had a diode matrix. It does however have a complete keyboard assembly that can be removed fairly easily as one unit. I removed the keyboard assembly and removed all the matrix diodes, circuitry and wires from it. I jumpered a common ground from each of four (if I recall correctly) octave subcircuits on the bubble assembly. With a little VOM tracing I found the connection for each individual key. I attached a wire to each keyswitch point long enough to reach the resistor string I built for the MFOS controller. Building the wooden case was a pain, but it turned out close to what I invisioned. I power it from the mains - with a small bi-polar power supply fit inside. I have since discovered how very limiting a keyboard can be with a modular synth, and hardly ever use one - but that's fodder for a yet to be constructed part of this website. 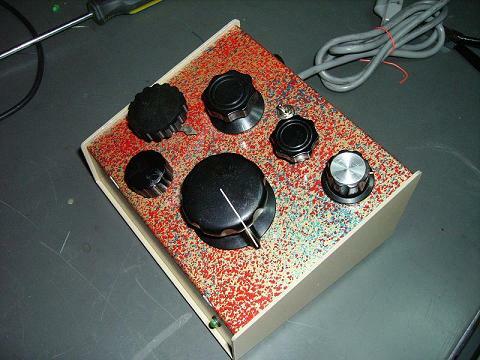 Ray Wilson’s MFOS Soundlab project. 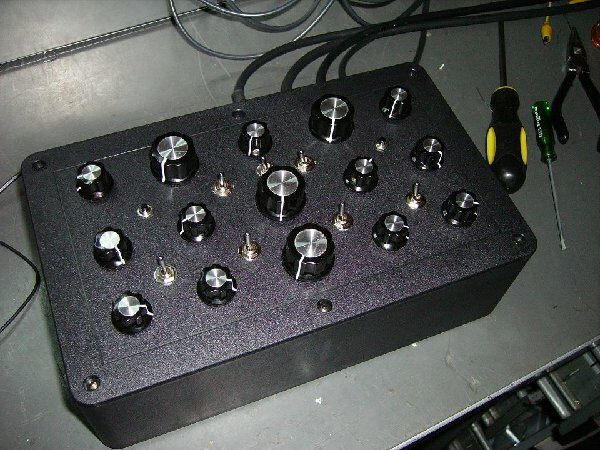 Soundlab with built in Sample and Hold and an eight step sequencer based on the Baby 10. 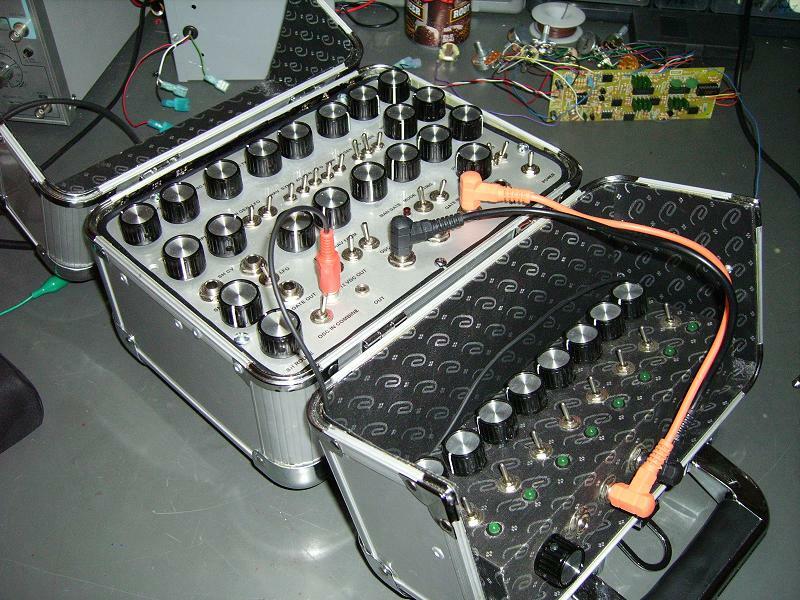 The basic Soundlab includes 2 VFO's, a noise source, AR Generator, VCF, VCA, LFO. Connections between sections are 'normalled', but it can also be 'patched out'. The Soundlab is quite musical. 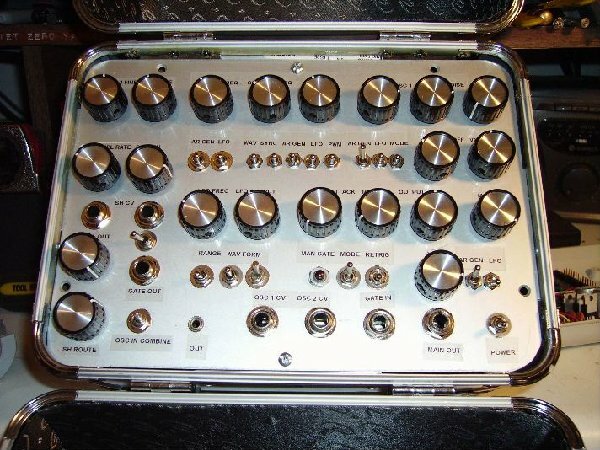 I have used it with my 1 volt/Octave keyboard and with my other sequencers. I built it into a make-up case my sister gave to my wife Christmas 2006. As soon as we got home I spirited this case into my workshop and stowed it under the bench. In late 2007 I started populating the Soundlab boards. 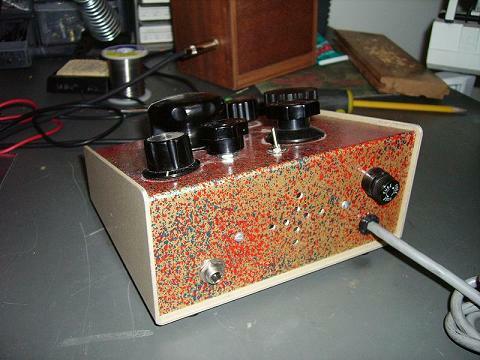 The WSG is a great 'first project' - I breadboarded one with my young nephew last Christmas. It's a couple CMOS 40106 oscillators and a filter that just makes wierd, odd, unusual noise. These things will fascinate you if you are the one twidling the knobs - or annoy you no end if you are just in the same room. This is an "Original Recipe" WSG (Ray Wison now offers PC Boards for more deluxe, fully featured models) - with a few added features. 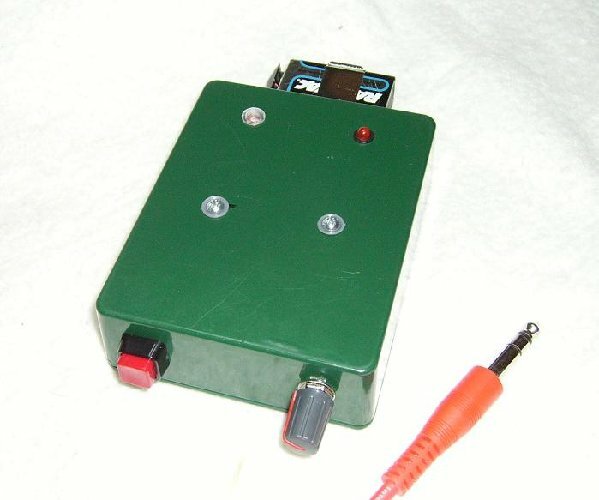 It has a built in, fused 110 Volt Power Supply, Amplifier and Speaker - and a 1/4 inch line out jack. Knobs are old and strange selections from my junk box. 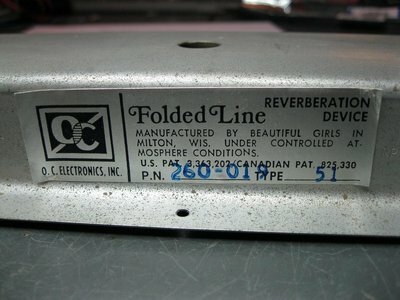 I recently traded this to someone who says they are going to use it in 'live performance'. 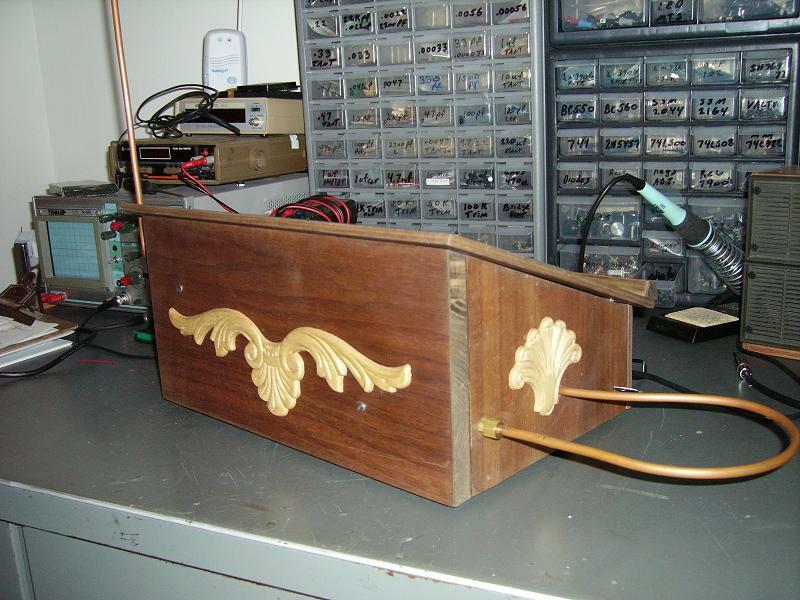 I had always thought a Theremin would be a great instrument – and when I ran across the PIAA Theremax while looking for synth module ideas I ordered the kit. Simple build, easy set-up.